Tennyson Lowry, aka DJ BASK, is a talented DJ/producer hailing from Salt Lake City. 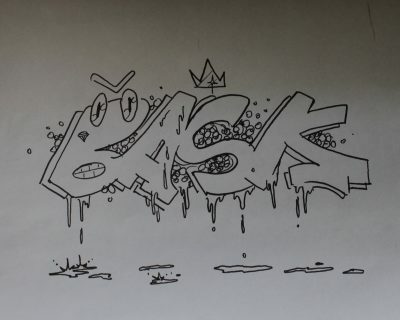 BASK is quite active in the Salt Lake rap scene and collaborates with many local music makers, including Erasole James from SLC’s Dine Krew. x files, however, is a solo work that was created and produced exclusively by DJ BASK. The release is a well-executed mixtape that showcases BASK’s versatility and skill as both a solo artist and as a producer. x files is a mix of modern-day trap music with old-school southern Memphis and Houston influences peppered in. BASK does a fantastic job of combining these two sounds and all of his beats, across the board, have a hyphy yet chill feel to them. Even though BASK dubs x files a “beat tape,” all of the songs stand on their own. Consisting of 11 tracks, Xfiles is short and concise. At times, the songs seem to be a little stifled, and DJ BASK could have easily elaborated more on the sounds and rhythms that he has created. Some songs like “Conspire,” which sits at a short 71 seconds, could have easily been lengthened without much hassle. With the simple addition of another sample or a slightly altered beat, most songs could give the listener more time to tune out and let the UFO-conspiracy-laden soundscape that DJ BASK creates fully wash over their ears.